Indulge in fashionable sheepskin hats trimmed with toscana lambskin or mongolian lamb. Whether you are looking for sheepskin hats suitable for a winter wedding or you are hitting the ski slopes on a winter sports holiday and want something special for the apres ski I should be able to help! 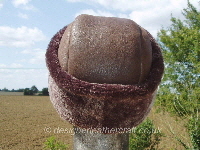 I have designed a variety of styles for hats myself but if you have an idea for a sheepskin hat of your own I am happy to try and make it for you. 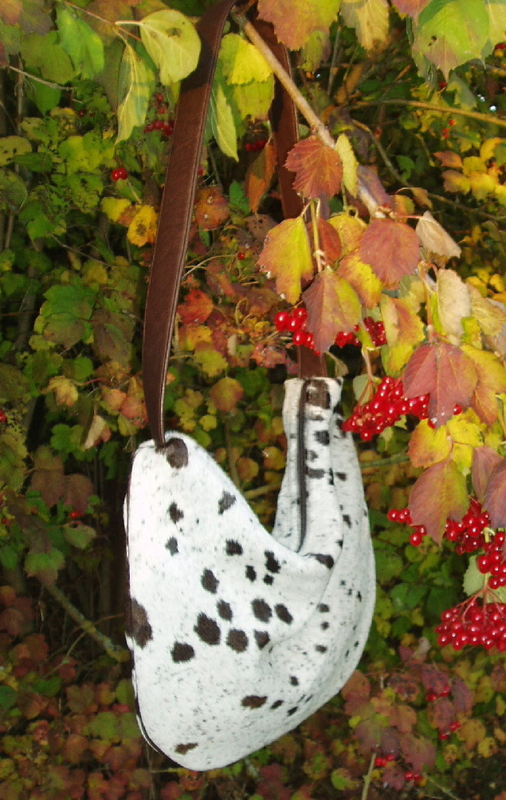 The range of possibilities is endless and I can also make matching sheepskin scarves and sheepskin bags. 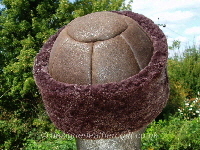 Most of the hats that are made with the wool on the outside are also lined with real sheepskin. 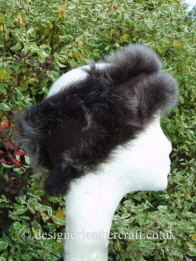 All the sheepskin hats can be made in a variety of colours and sheepskins. You can find out about different types of sheepskin on my sheepskin page. I often use the mongolian lamb for trimming but it can also be made into a complete hat or ski band. The toscana sheepskin is great for trimming and complete hats but remember that with all that long wool inside it can be very cosy! This is one of the reasons that I often make sheepskin hats and sheepskin gilets from a short wool sheepskin with just a toscana sheepskin trim for the extra luxury touch. All my sheepskin hats are individually hand cut and sewn on my singer treadle sewing machine. The hats used to involve quite a lot of hand stitching but most of this is now done on my Albook Hashfield dial feed machine. Prices for the sheepskin hats will vary according to the sheepskins used. Sometimes the trim on a sheepskin hat is made with off cuts and sometimes whole sheepskins are cut. Fashion hats are a very personal issue as to whether they suit a person or not so I am usually happy to extend a returns policy in my Terms and Conditions to orders for sheepskin hats as well as the standard returns policy for sheepskin hats from stock. The prices for the sheepskin hats from stock are often lower than prices for hats ordered as in many cases I design the hat to fit the sheepskin rather than the other way around. The hats below are some of my original hat designs. The hats shown are sold but the designs can often be repeated to order. A small collection of good size sheepskin hats for men that are also great for ladies looking for larger size hats. I have pictured each hat on my male and female models. This collection is sold. Great sheepskin hats for apres ski or a winter wedding.